We should all expect only the most colorful and stylish couture when it comes to Pride Weekends, with latex outfits, lace, and bright color cottons seen across our fine cities. Marches, parties and celebrations of purposefulness as well as celebratory fun is what the whole Pride Month is about and reflected on the streets of so many cities and in the hearts of so many people. Some marches have already occurred in Boston, the nation’s capital and L.A., with its celebrity sightings and performances (Christina Aguilera took the stage in City of Angeles parade on the 11th) to cities like Flagstaff and both Cleveland and Cincinnati, holding celebrations this weekend. Some 750,000 people are also expected in Chicago for its own two-day event, and a march that spans 21 blocks. Seattle, Washington, Dawnamatrix Designs nearest neighboring big ‘burb has Nark Magazine and Bottom Forty putting up an alternative Pride Weekend this weekend. 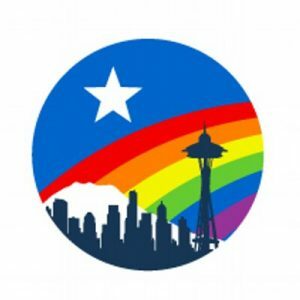 They are featuring boat cruises, warehouse raves and drag competitions, to benefit Gay City: Seattle’s LGBTQ Center. Global Pride events happen slightly later than US. celebrations. Parisians celebrate 6/30, London and Madrid, 7/7 and Amsterdam later still on 8/4. Make your voices heard and celebrate all you are.